It's been a very busy month! We've been working really hard behind the scenes over the last few weeks and we have a ton of great and exciting updates for you! Lets dive into it! Last month, the team at Zero Knowledge Podcast sat down POA Network's Tech Lead, Igor Barinov, and Gitcoin Labs Director of Research, Austin Griffith on the 5th most listened episode of the podcast, to talk all things POA related. to talk all things POA related. From POA Core network to Bridges, xDai Chain and Burner Wallet, Igor and Austin share their insight on all the technology in the works and their vision for future of POA Network. Check out the full podcast on the following link. Geon Network, a leader in Augmented Reality (AR)-enhanced location-based services has partnered with POA Network to deliver a more robust, efficient, and secure Geomining experience. Geon Network created the Geon App to allow users to get paid for visiting real-world locations.The Geon coin is an ERC20 deployed directly to the POA Network, which allows for fast and efficient processing of all Geomining requests. POA Network’s user wallets behave exactly the same as other Ethereum based wallets, where one public address and private key can be used across networks. This will allow the Geon Network to leverage multi-network compatibility in the future. To read the full article on Geon Network partnership, click on the following link. Earlier this month, Kauri hosted a session where they discussed the importance of Ethereum sidechains, layer 2 protocols, and the opportunity to deploy on POA Core. As part of that discussion, POA Network was featured project that holds a critical role in reducing network congestion and mainnet transactions. Kauri is a knowledge sharing project focused on research and education within the blockchain industry. Kauri has also created a POA Network tutorial which can be viewed on their website. Their discussion of POA can be viewed here. 4. Bancor Protocol & POA Network project in Kenya now has over 1000 wallets! Last year, Bancor Protocol and POA Network partnered on the Sarafu Network project that would serve as a transparent and decentralized local currency system for local commerce within villages connected to the network. The interconnect village tokens act as basic income, and it's circulation between consumers and local businesses is a new form of cash transfer for humanitarian aid that keeps value flowing regardless of national currency shortages. Testing for the Sarafu Network commenced in August 2018 with the first ever tomato exchanged on the blockchain. Now, six months later, we have over 1000 active wallets. The Bancor & POA integration this project is a verifying use case for how blockchain applications are changing lives. 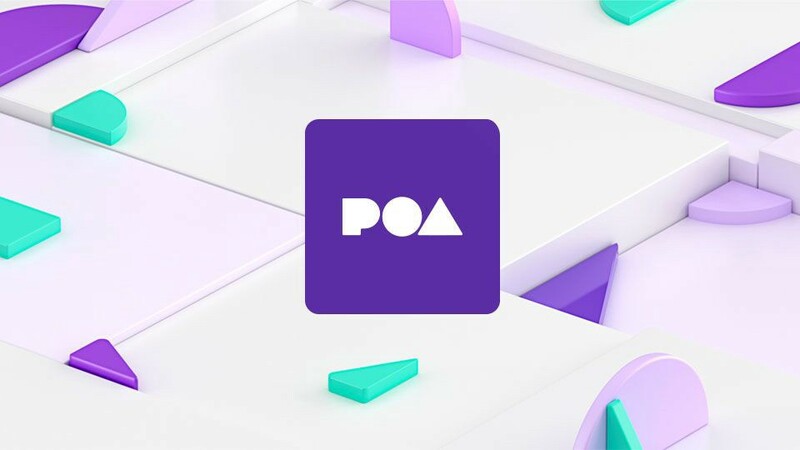 POA’s fast and cost-efficient Ethereum scalability solution is “…enabling instant transactions and minimizing transaction costs to a fraction of a cent." To read the full article by Nate Hindman, click on the following link. POA Network would like to introduce to the community its latest initiative, the POA Games Fund. This initiative is a $50,000 Dai fund which will be distributed to various games and DApps that meet our criteria.We are looking for high performance games or DApps that are ready to utilize POA Core. Bonus points for beautiful UX and unique gameplay and concept! The first recipient of the POA Games Fund is the next Snails game! A blockchain based game sereies that is being developed and will be deployed on POA by one of the community members, SnailKing! Find out more about the plans for Snails in the latest post here. We will be evaluating the other entrants for the POA Game Fund over the next few weeks and will announce the next recipient after judging the various entries! In a close decision, POA validators voted to hold (freeze) emission funds collected on the POA network. The vote was finalized February 25 at 8:00 pm Moscow Standard Time. This means the current collected emission funds - 1,661,469 POA - will remain securely stored in the EmissionFunds smart contract. The funds will be added to the emissions available for distribution during the next EmissionFunds distribution vote, scheduled for May 2019. Every 3 months, validators vote on an on-chain ballot to determine how these additional emission funds are spent. This was the first ballot regarding emission fund spending, and the validators discussed many options and varying opinions on the POA forum 2 prior to voting. At least 11 validators were required to vote on this measure, and 17 validators submitted a vote. Click here to learn more about the validator freeze from February 25, 2019. We’re pleased to share Helena has chosen xDai Chain as their preferred network solution for their DApp. This DApp aims to leverage the power of prediction markets in order to deliver real-time forecasts covering fundamental blockchain events, trends and projects. "We have partnered with the xDai Chain, becoming the first full dapp live on xDai. In fact, not forgetting that we are still in beta mode, we believe we now have one of the best dapp UX in the Ethereum ecosystem today.” said Mark Ziade, CEO of Helena. Check out the full announcement and start participating in Helena's prediction markets now. We were extremely excited to see the overall xDai usage during the ETHDenver event. There were 10+ food trucks accepting buffiDai tokens in exchange for consumables and they were very successful. In total, there were 4405 meal purchases with fees costing $0.000046 USD per transaction meaning the total combined fees for the ENTIRE was only $0.20! It’s great to see xDai Chain being used as a legitimate tool to provide transparency for this fantastic event. The success of xDai and Burner Wallet had Ethereum co-founder, Jospeh Lubin talking about both POA and xDai at SXSW recently while Austin Griffith, the creator of Burner Wallet has written a great post on the success of the wallet and xDai at the event. Feel free to check out the in-depth usage stats below and checkout this great overview of xDai on the Settle blog! After the exposure xDai Chain got at the ETHDenver event, it’s no surprise there’s been interest in entities wanting to become validators for the network. Austin Griffith, who drove the end to end creation of the Burner Wallet has officially submitted his ballot to become a Validator. He’s helped showcase xDai Chain as a broader network solution and would be a great addition to the existing team of Validators. MyCrypto has also officially submitted their ballot to become a Validator. MyCrypto would also be a great addition to the team since they currently manage mycrypto.com which is a great tool to learn about different network solutions. Stay tuned for the upcoming vote on these ballots! On top of Burner Wallet and MyCrypto, three other entities have submitted their entries and expressed interest in their validators including Alpha Wallet, Portis and LocalEthereum. All applications will now go through the official guide of creating their keys and completing their application for the xDai validator process as outlined here by POA technical writer, Andrew Gross. We were excited when we found out xDai Chain has officially been added to State of the DApps as a platform. We’re seeing a great trend of more and more DApps looking to move to an alternative network solution that addresses all the pain points from some of the more popular network solutions that exist today. This validates the fact that xDai Chain can serve as that alternative platform for DApps at this very moment! Earlier in the month, Igor Barinov, spoke at the Ethereum Community Conference in Paris about xDai, in a talk titled "xDai and the dawn of stablechains" where the talk consisted of an intro to xDai Chain and what the future holds for it. Check out the video of the full talk here! 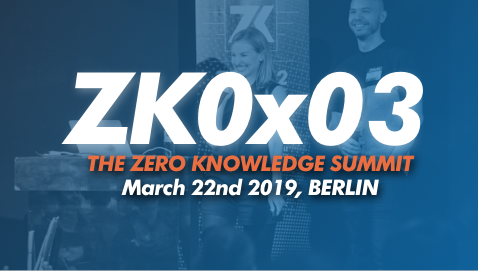 Straight from Paris, Igor Barinov travelled to Berlin, to the [Zero Knowledge Summit](https://www.zeroknowledge.fm/summit) on March 22. The one day event focused on zero knowledge topics, innovative zkSNARK implementations, MPCs, STARKs and innovative blockchain scaling solutions with the main focus being scalability solutions! Igor gave a presentation on sidechains such as POA Core and xDai Chain that are great usable scalability solutions available now. Check out the video of the talk available [here](https://youtu.be/HKShhNTJtUQ).